India's pharmaceutical sector is gaining its position as a global leader in the recent years. The pharma market in India is expected to touch US$ 74 billion in sales by 2020 from the current US$ 11 billion, according to a Price water house Cooper (PwC) report. 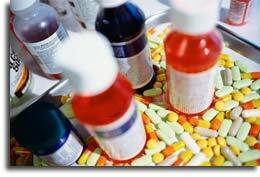 The domestic pharmaceutical market grew 21.9 per cent to record sales of Rs 5,369 crore (US$ 1.01 billion) in March 2012, as compared to the previous year, according to an analysis by a market research firm, All India Organisation of Chemists and Druggists (AIOCD) AWACS. Exceptional growth in pharma companies resulted in the record sales. The company Mankind recorded a growth of 32.6 per cent to record sales of Rs 194 crore (US$ 36.67 million), Macleods Rs 132 crore (US$ 24.95 million) and Micro Labs with Rs 109 crore (US$ 20.60 million) grew 40 and 45.1 per cent, respectively. Abbott, with its subsidiaries Abbott Healthcare and Solvay, registered sales of Rs 306 crore (US$ 57.84 million) to retain its number one position in the domestic market. The other market leaders were Cipla, GSK and Sun Pharma with sales of Rs 280 crore (US$ 52.93 million), Rs 254 crore (US$ 48.02 million) and Rs 255 crore (US$ 48.20 million), respectively. Ranbaxy's sales grew 19.2 per cent to Rs 229 crore (US$ 43.29 million) in March 2012.